100 km north of Kuusamo, Lake Keselmäjärvi 15 m (length 800 m, width 500 m), shallow water, hard sanded bottom, further out mud bottom, own boat, pier. 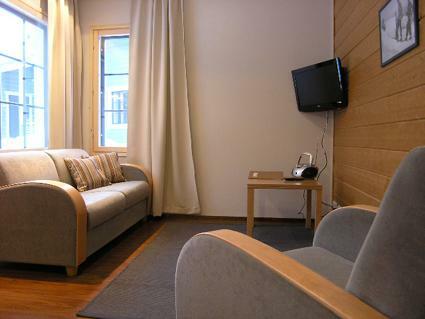 Location near by Sallatunturi tourist center. Silverlog villa 1990, renovated 2012, kitchen, living room (48 m²), lounge with fireplace, 3 bedrooms a double bed in each, large loft with 4 beds, children's play area, reading corner and fitness room (exercise bike and rowing machine). Electric sauna with whirlpool bath, 2 showers and dressing room. Large open veranda (50 m²) with an outdoor fireplace and summer kitchen. 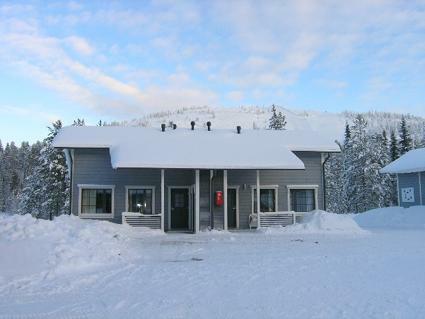 Carport for four cars (4 x socket), ski storage and ski maintenance room (not heated). 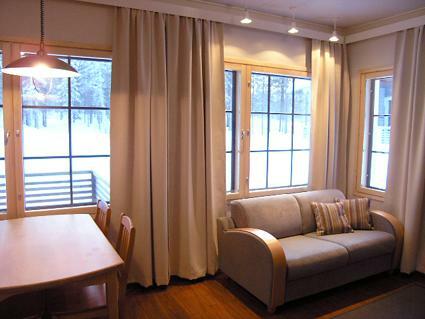 Cozy and spacious villa in the very shore of Lake Keselmäjärvi. The villa is equipped in such a way that the customers' holiday will be easy and relaxing. Spacious, sunny and peaceful grounds. The adjacent plots are park areas. 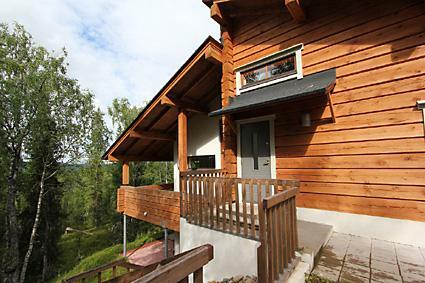 Good views of the Salla- and Ruuhitunturi and from inside the villa and from the yard. 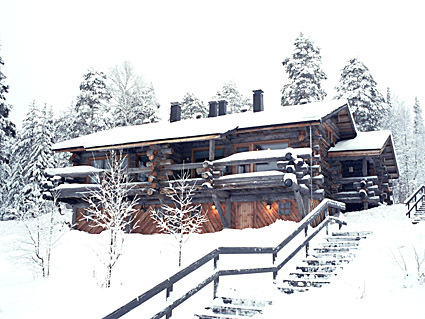 Villa Mountain is a place where art design and nature meet. The villa's bath department has received praise from our customers. Sauna room has a window view of the lake.The villa is decorated in Scandinavian and Italian design, accompanied by South African art handicraft. All the rooms have their own personal style. 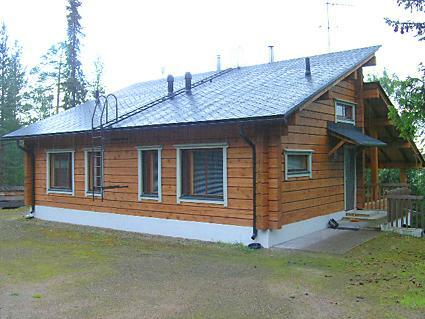 Hiking trails nearby the villa, two campfire sites (Lapp hut) 300-500 m away, spa 1,5 km, Salla reindeer park 5 km (illuminated cycle path all the way), Oulanka National Park and visitor center 35 km, Salla 9 km.